These are the cutest sunshades that I have seen for the car. Since starting to use these I no longer have to hear complaints from the backseat about the sun being in kid’s eyes.  These are fun and playful and do some serious work to knock back the harmful rays and being that my son is extremely prone to sunburn, these shades go a long way in protecting his skin from the burn. These are easily mounted with the little suction cups and easy to remove. Being that I have a brand new car, these do nothing to tear up the car or leave any marks behind that can’t be cleaned with glass cleaner. These seem to be well made and are surely durable as my son has pulled them off the windows a dozen times to date. These are large enough for the window and work amazingly well. We love them! I Received this product in exchange for my honest opinion. These toys are so super cute and very functional. Chewing on them alleviates pain associated with teething and they are fun to play with anyways. The clip that comes with them for the pacifier is so cute too. And you always want to clip that thing somewhere because who wants to chase down a paccy all the time! I like that these are multi-sensory toys as well, as it is very important to stimulate children as early as possible so that as they grow they can be in sync with other kids and be on the “normal” goal track. They are taste and smell free, which I didn’t believe that was true until I opened the packages. It is nice that a product finally is what it says it is. It is also nice to know that there is nothing harmful in them that will hurt the babies. These toys are super sturdy and well made, should last a very long time. I received this product in exchange for an honest review. This product is for entertainment purposes only, don’t run out and buy all pink stuff without your doctor doing their thing. It comes to you without the box, but has enough for two tests in it and the directions. 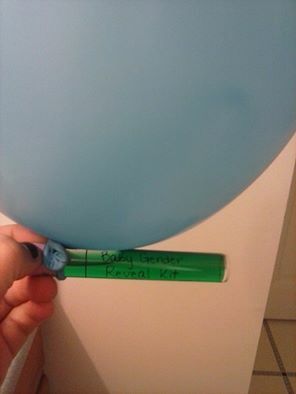 Also comes with pink and blue balloons to use in your announcement. This is fun and harmless for the preggo woman. I obviously am not pregnant, but I have a friend that is. I was really excited to send this to her and let her have a little fun. This is her first pregnancy, and one that she wanted so badly. I am so happy for her and excited! She will be a great mom! Not that that has anything to do with this product BUT this product is adorable. Its clearly not meant to a medical device. It would be great for a baby shower gift or just a gift for a friend. My friend said that it was fun, and easy! Can’t ask for more. 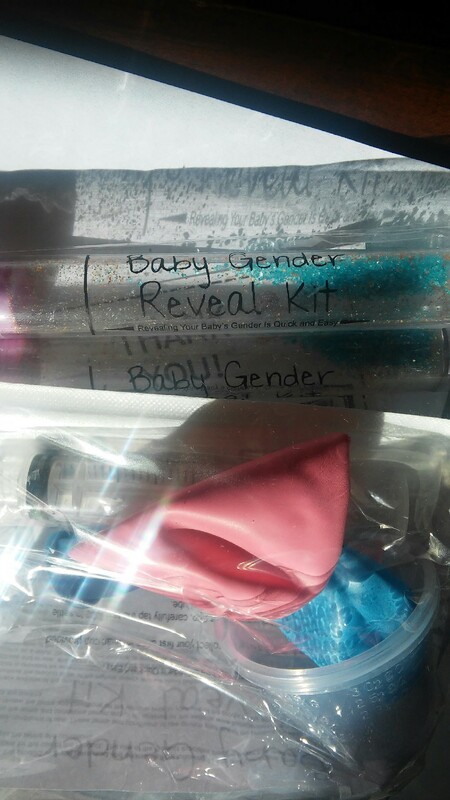 This would be great for these gender reveal parties that are all the rage now! I received one or more of the products mentioned above for free using <a href=”http://www.tomoson.com/?code=BOTTOMd0ab83cf24062029c9e2ac16fb5b3fcd&#8221; rel=”nofollow”>Tomoson.com</a>. Regardless, I only recommend products or services I use personally and believe will be good for my readers. We will listen to this over and over and enjoy it tremendously! Run over to amazon and get yours!! !